Nose: Dried fruit, toffee, bright white grape, sweet wine. Palate: Polished oak and vanilla. Complex and truly exceptional. Notable rancio, with initial notes of gingerbread that grows into cloves and leather. A full bodied cocoa finish. 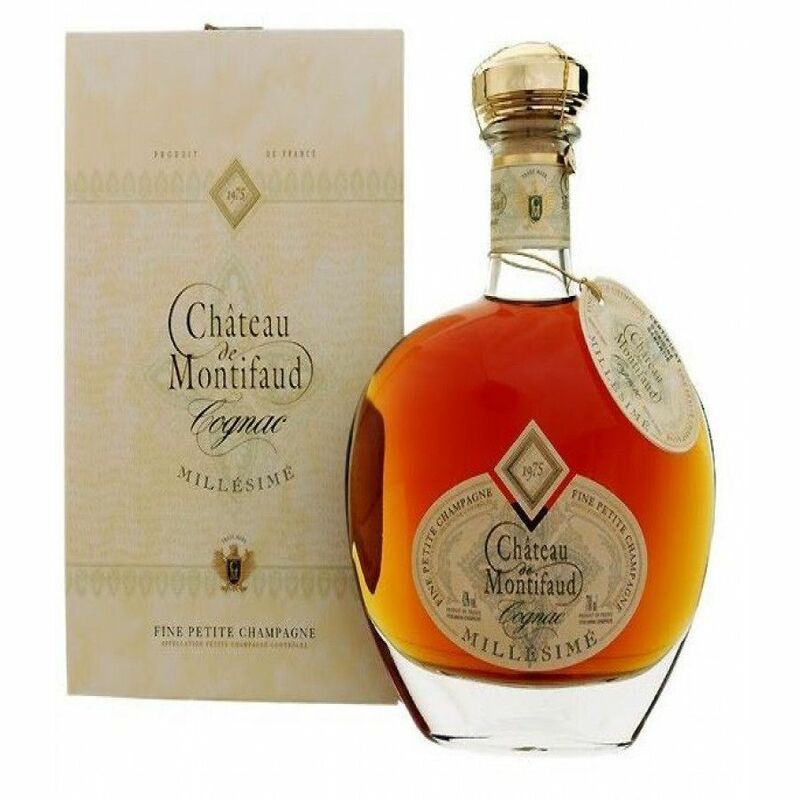 We expect nothing less than sublime from this premium Cognac house, and they certainly deliver with a single-year Cognac - the Chateau de Montifaud Helios Vintage 1978. Harnessing balance from its Petite Champagne eaux-de-vie, it is a Cognac with exceptional finesse. Named after the Greek sun god, it pays tribute to the optimal conditions of the Petite Champagne, half of the Fine Champagne region and its undulating hills. All of the grapes were picked in the harvest of this very year, and then aged in Limousin oak barrels in the Montifaud cellars. The Petite Champagne is their terroir of choice along with its neighbor, thanks to the high chalk content of its soil and limestone subsoil. The eaux-de-vie is usually rich in both aroma and flavor, with a marked rancio. The family-run Cognac house work hard to manage their vineyards, and apply artisanal techniques that have been passed down from father to son. In mastering new technologies as well as years of savoir-faire, they produce fine Cognacs and particularly great vintages that offer an expression of one harvest. In this case, the Montifaud Vintage 1978 Cognac is a snapshot of one particular harvest in the Petite Champagne. Proofed to 43% ABV, it is higher than most but makes a great difference to the flavor and round body in the mouth. Arriving in an old-fashioned decanter bottle, it has a traditional gold stopper and a gorgeous presentation box. It is the perfect Cognac for an aficionado. Enjoy this Vintage Cognac neat and travel back to the sun soaked harvest of 1978.